Fully double flowers and coffee colored foliage make this a stand out beauty! Nonstop® Mocca White creates an eye-catching display that shows well in containers, hanging baskets or combination pots. They flower early and often. You canâ€™t go wrong with this one! 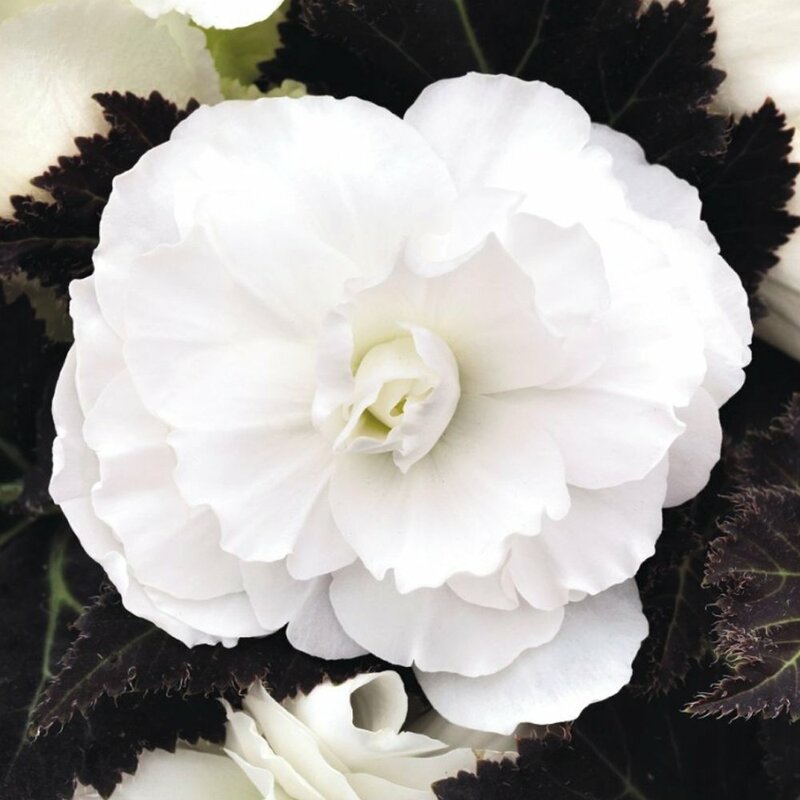 All our begonia plants are grown and shipped in fine quality growing medium. They are guaranteed to arrive alive and ready to thrive in their new home. Comment: These arrived looking very healthy. 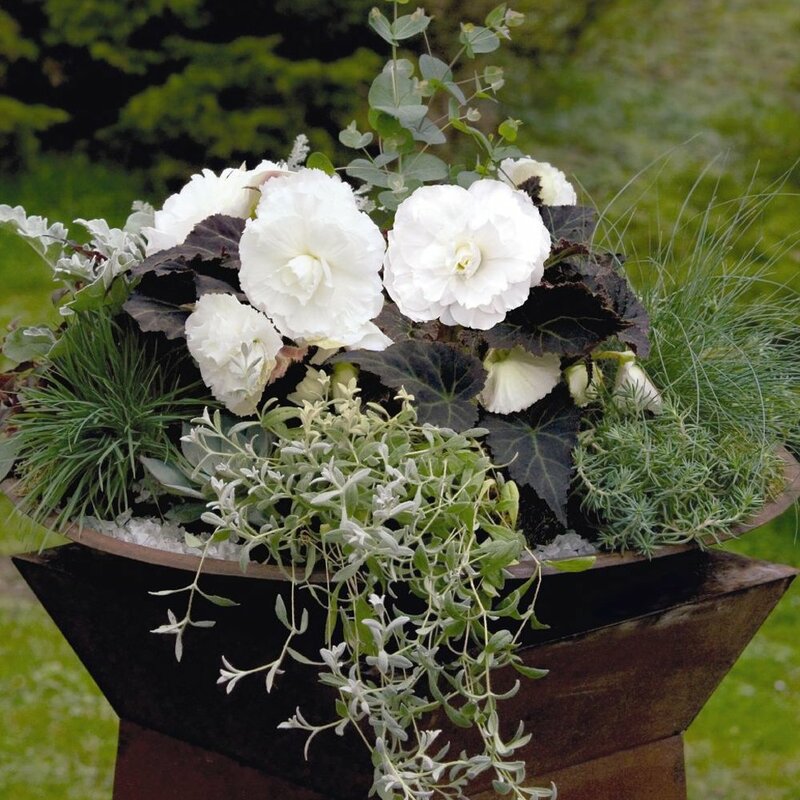 The dark foliage is very striking and will look lovely against the white when they bloom. Comment: I am new to GrowJoy, these plants all arrived in great condition and were very healthy, can't wait to see them in a month or so, will order again and again.